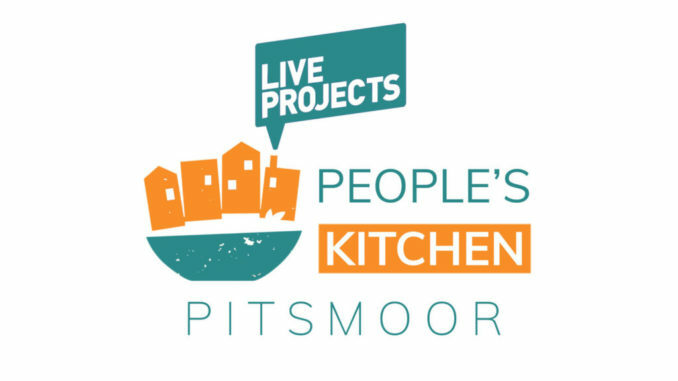 The People’s Kitchen Pitsmoor and students from the University of Sheffield Architecture School are working on a ‘Live Project‘ and are organising a few events at Parkwood Springs and Abbeyfield Park House through October. 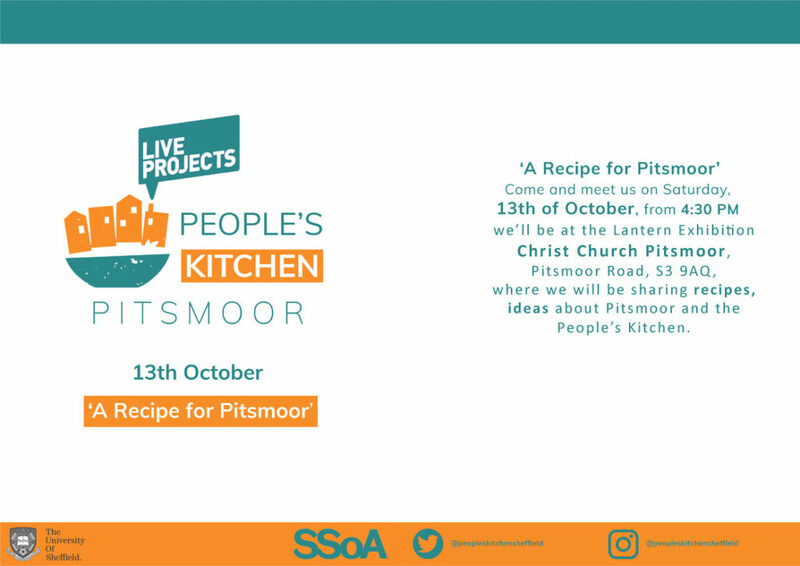 On 13th October from 4:30 pm Live Project students will be at the Lantern Exhibition at Christ Church Pitsmoor where they’ll be sharing recipes, ideas about Pitsmoor and the People’s Kitchen. Location: Christ Church Pitsmoor, Pitsmoor Road, S3 9AQ. (NOTE: The Lantern Procession has been postponed due to bad weather, so this is change to the previously advertised location). 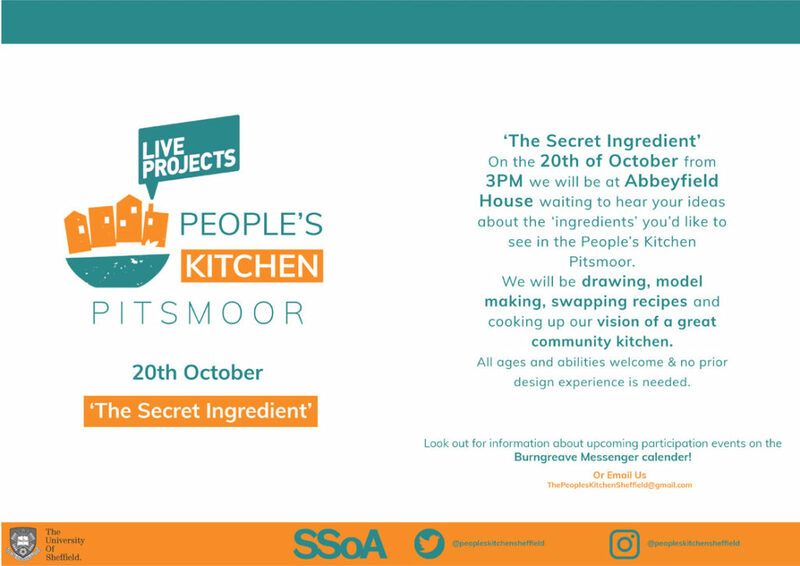 On the 20th October from 3pm the students will will be at Abbeyfield Park House waiting to hear your ideas about the ‘ingredients’ you’d like to see in the People’s Kitchen Pitsmoor. There will be drawing, model making, swapping recipes and we will be cooking up our vision of a great community kitchen. All ages and abilities welcome and no prior design experience is needed. 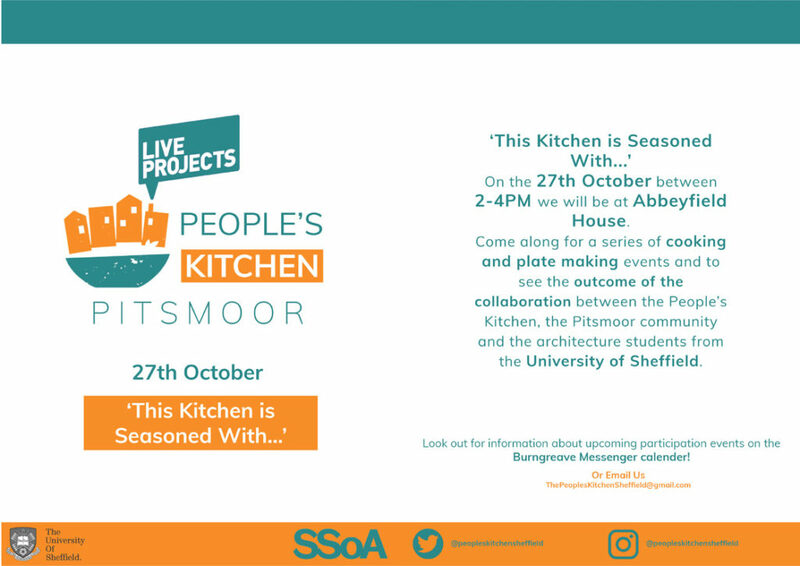 On the 27th October 2-4 pm, come along to Abbeyfield Park House for a series of cooking and plate making events and to see the outcome of the collaboration between the People’s Kitchen, the Pitsmoor community and the architecture students from the University of Sheffield.